5. 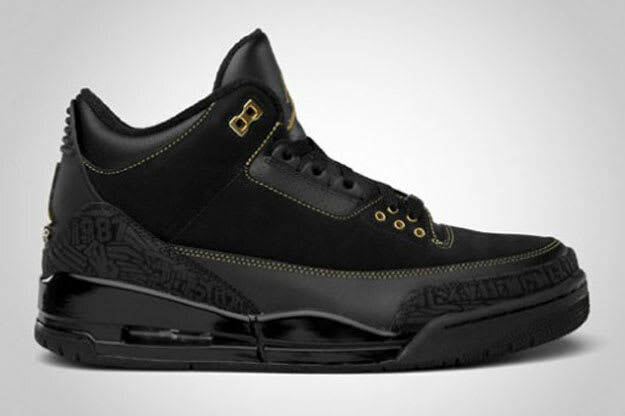 Air Jordan III "Black History Month"
Complex says: Sure, from a distance these aren't so different from the Black Cats, but they earn the higher spot based off of details and purpose. The elephant print was replaced with lasered detailing, and the stitching and highlights were done in gold. Classy.